Strong 1st day of the @NCAADIII Championships for @BatesCollege! In the 200 medley relay, Bates women placed 10th and the Bates men 12th. 8 All-Americans: Ho, McGill, Apathy, Logan, Ewing, Bedard, Pender, Depew! The Bates women's swim team is in 12th place and the men are in 13th at the midway point of the NCAA Championships! Three All-America relay performances on the day, plus Caroline Apathy takes 11th in the 100 butterfly! 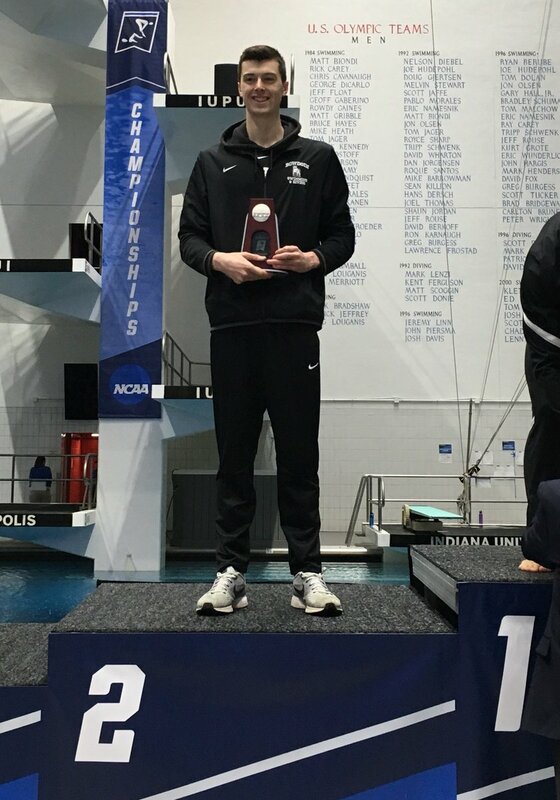 Bates swim teams win All-America honors in 800-yard freestyle relays on Day 3 of 4 at NCAA Championships -- a program first for the men's team! @BatesCollege swim teams make history with men's 14th-place team finish and women's 6th-place 400 free relay! A great four-day effort by the 11-strong Bobcat contingent at the @NCAADIII Championships in Indy!